Day 1 of FiiF2018 was a strong day! 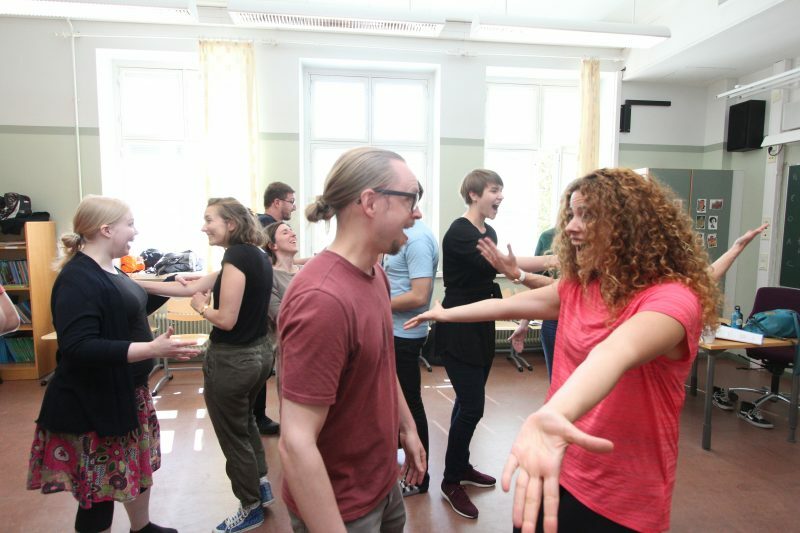 Our players learnt new tricks at workshops and rehearsed for unique ensembles with the guidelines of our awesome instructors! 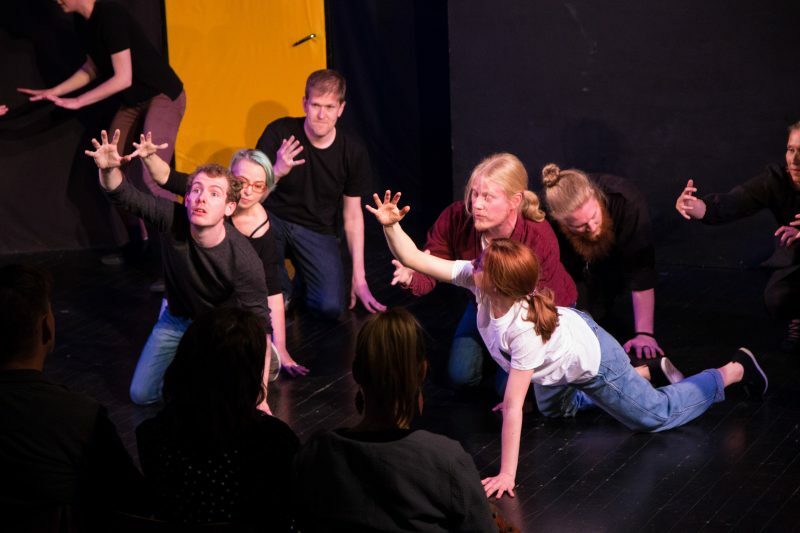 The day continued with performances by improvisers from around the world and the party moved to O’Connell’s for the Off-stage and socializing. Here are some highlights from 14 June 2018 in FiiF2018. 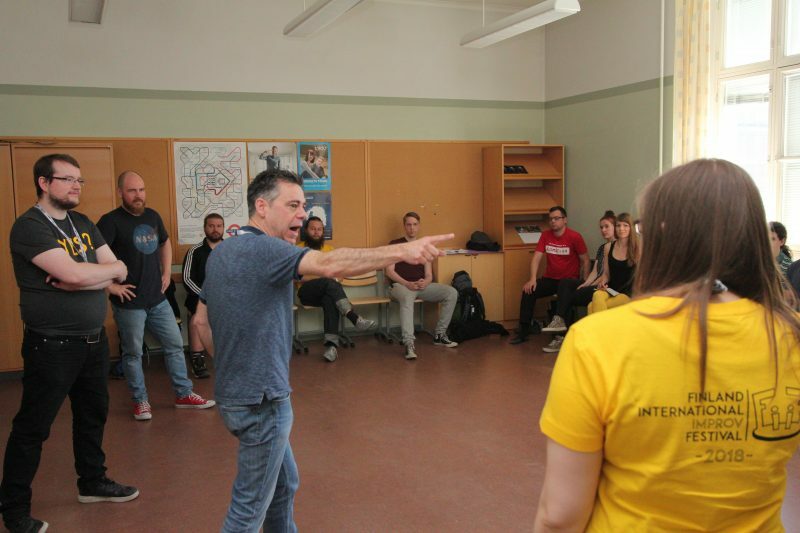 Tom Tollenaere gives instructions to his students at Protagonists, Antagonists and Sidekicks workshop. 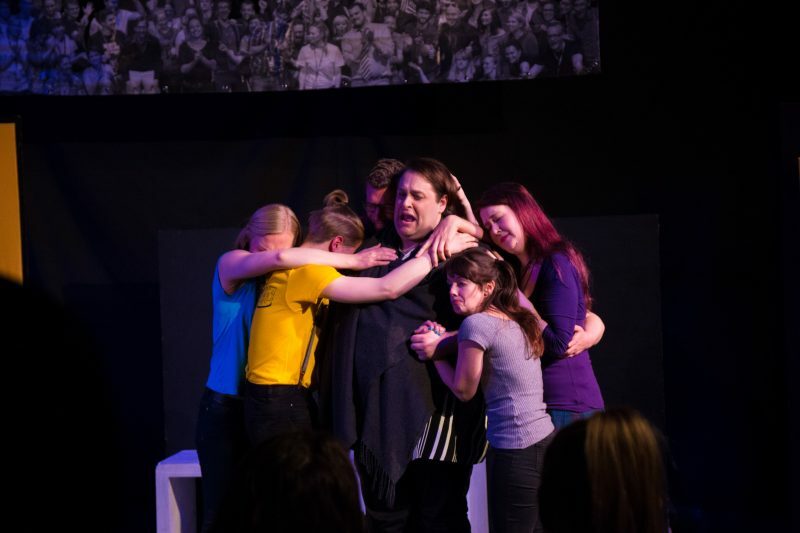 Players exploring emotions at Kiki Hohnen’s Improv & Psychology. 1st day of rehearsals for the ensemble Decibel, directed by Morgan Mansouri. 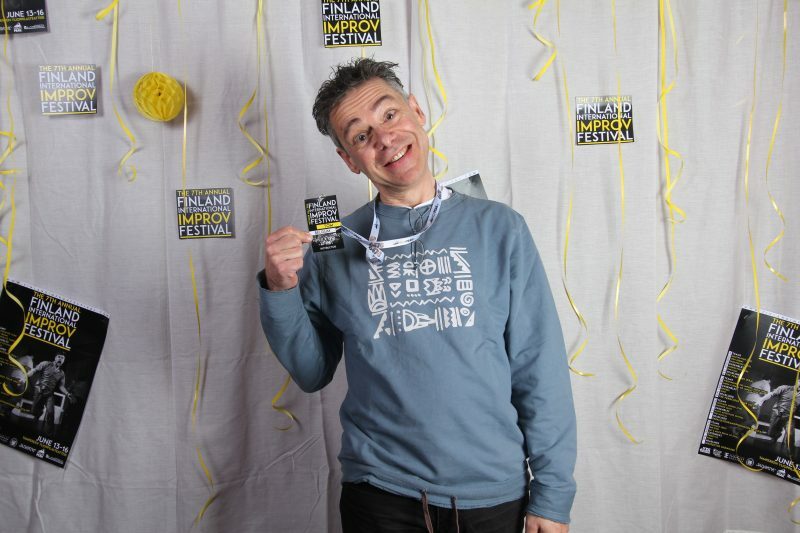 Remember to pose for your portrait every day before the show begins, just like Tom Tollenaere did. You can later on bring out your phones for selfies, and don’t forget to use our hashtag #FiiF2018 to get your picture featured in the lobby. The first headliner for FiiF2018 was The Fraltons. 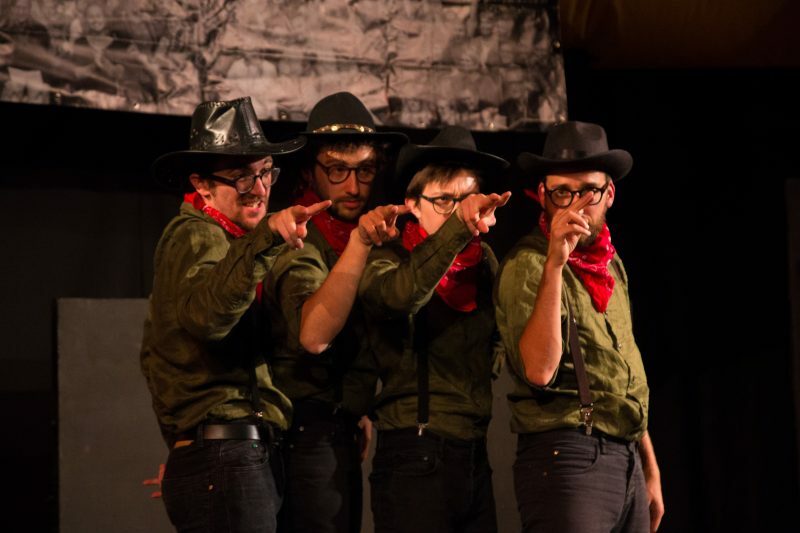 Inspired by the famous Daltons they create a Wild West universe where clowning, mime and 4 French Bandits combine together with devastating humor!